We at Qwear always look forward to Black Herstory Month. For this 28 day period, we pay tribute to the history of people of African descent by honoring Black Excellence in a nation that has repeatedly demonstrated a lack of regard for Black lives. In a country based on the values of white supremacy, Black lives in America are at an increased risk. Killed on the streets, thrown in prison, and put in schools with very few educational resources, our Black citizens are working three times as hard to secure work in a heavily racist environment. With the recent election of Trump as president, who believes that "order" to America means whiteness, who is targeting individuals who practice Islam, who is banning individuals from entering the US from the very same countries that we tore them from as recent as 155 years ago in the slave trade, we must now more than ever invest in our citizens of color. It is for these reasons and so many more that I present to you some of our favorite queer friendly Black owned fashion brands. Buying from these brands is one important thing you can do for the resistance — by supporting the hard work and creative input of one of the most targeted groups in America and across the globe, we can put our money towards the people who truly will make this nation great. 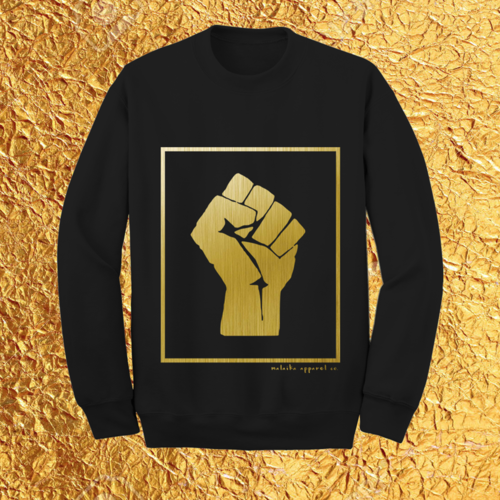 Many of these brands feature African prints and symbols, and as well as symbols from Black Power Movements such as the raised fist. If you are a non-Black individual buying products that specifically celebrate Black culture (in particular if you are white) to please be cognizant of the way in which you wear it so as to be respectful of the culture which created these styles. Wearing symbolism of Black culture on non-Black bodies requires the continued awareness of privilege and the insistence to change a system that is rigged against Black bodies and people of color. As a final note, there are a few products that specifically cater to Black individuals (such as the “very Black" or “Black Royalty” products). These are of course only intended to be worn by individuals who are themselves Black. 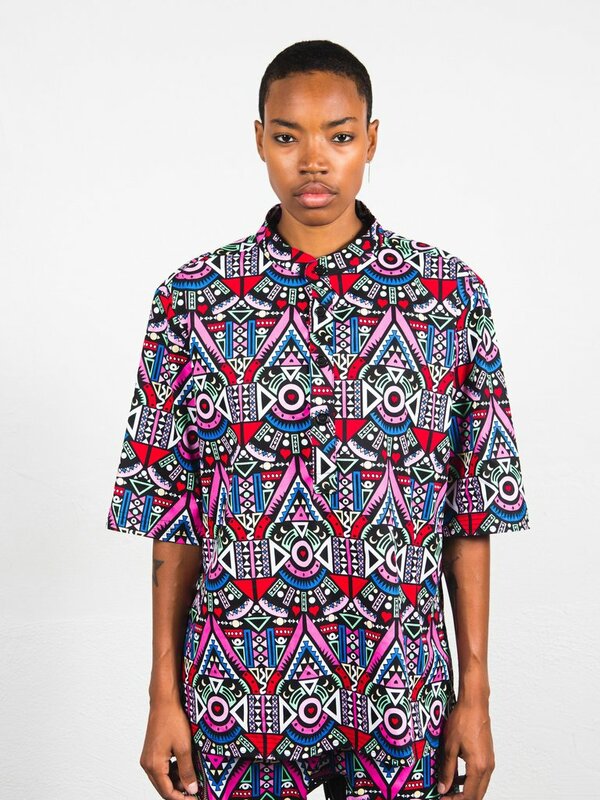 Malaika Apparel Co, created by Rita Bunatal, reignites the flame of Pan-Africanism, the ideology that all Black people are connected through the diaspora, through designs that symbolize Black power and African prints. The Nigerian brand Rahyma features bright, bold prints which create beautiful shapes of their own while embracing the feminine form. 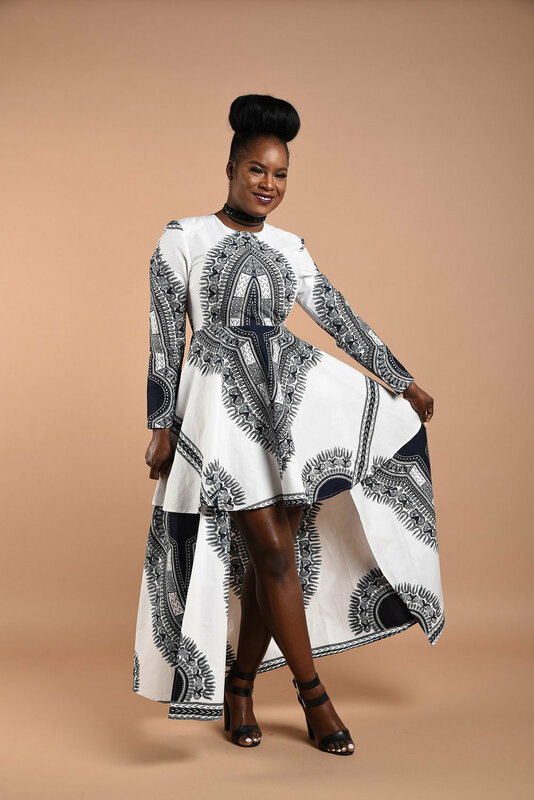 Inspired by color, shapes, and African/ethnic prints, NAKIMULI embraces a love of self at any size, inspires sisterhood, individuality, comfort, and fierceness. The Brooklyn Circus/BKc is a menswear brand inspired by classic American prep that aims to tell the story of style throughout American history and to emphasize the power of presentation. 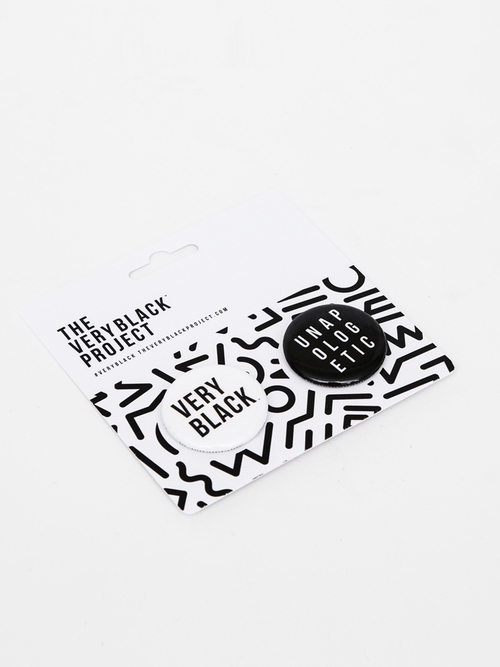 Though a simple white tee-shirt with bold raised lettering, the very Black Project proudly celebrates lived Black experiences and the global African diaspora. Created by Nnenna Stella in Brooklyn, New York, The Wrap Life cultivates a life abundant with color, texture, and handmade goods through gorgeous head wraps, accessories, and handmade lifestyle items. Jag and Co is a queer Black-owned clothing line by the creator of Rainbow Fashion Week for people of all genders, specializing in custom suit pieces and committed to the use of recycled materials. Model Millz in Jag & Co. Photo by Oscar Diaz. We will feature more brands soon! If there are any you wish to see featured, please let us know in the comments below.